Grand Rapids, MI, February 10, 2018 --(PR.com)-- Sr. Counsel James S. Brady, Esq. of Grand Rapids, Michigan has been recognized as a Professional of the Year for two consecutive years, 2017 and 2018, by Strathmore’s Who’s Who Worldwide Edition for his outstanding achievements and high level of success in the field of law. About Sr. Counsel James S. Brady, Esq. James S. Brady, Esq. is Senior Counsel at Dykema, which is a law firm in Grand Rapids, Michigan. He is the Office Managing Member of the Firm’s Grand Rapids office and is a former leader of the Firm’s national Government Investigations and Corporate Compliance practice area. His practice is concentrated in the areas of business and commercial litigation, white collar investigations, criminal law, health care fraud and environmental and energy law. Mr. Brady represents clients from various business entities, executives, medical professionals and other individuals in criminal matters involving a wide array of corporate, government and individual crimes. After obtaining a B.S. from Western Michigan University, James obtained a J.D. from the University of Notre Dame in 1969. He previously served as the Chair of the Criminal Law Group at the Miller Johnson law firm. He was as an Adjunct Professor at the Thomas M. Cooley Law School. Mr. Brady also has lectured for the National Trial Lawyers Association, the University of Michigan Law School and ICLE. He served as a U.S. Attorney for the Western District of Michigan for four years where he was involved in white-collar criminal matters involving fraud, embezzlement, grand jury investigations, money laundering and counterfeiting. “AV” rated by Martindale-Hubbell, Mr. Brady is listed in “The Best Lawyers in America” for First Amendment law, business litigation, commercial litigation, criminal defense, non-white collar criminal defense, and white-collar criminal defense. He is also recognized as a Michigan “Super Lawyer” for criminal defense. 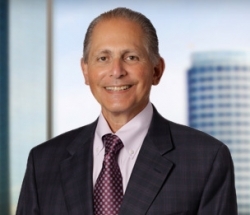 He is the 2015 Recipient of the Distinguished Alumni Award at Western Michigan University, and the 2015 Recipient of the Marion Hilligan Award from Western Michigan University’s Cooley Law School. Mr. Brady was named “Lawyer of the Year”, Grand Rapids, for Criminal Defense-Non-White Collar by Best Lawyers for 2015. He was named a Michigan Leading Lawyer in the areas of Commercial Litigation and Criminal Defense: White Collar Law by the Leading Lawyers Network from 2014-2016 by the Law Bulletin Publishing Company. He is also listed in “Who’s Who in America” and has been featured in several news articles. Mr. Brady was recognized on the Reuters Billboard in Times Square in New York City. Mr. Brady is affiliated with the Federal Bar Association, the State Bar of Michigan, the Grand Rapids Bar Association, the American Association for Justice, the National Association of Former United States Attorneys, the Michigan Association of Justice and the American Inns of Court. He is admitted into the U.S. District Court in the Western District of Michigan, the U.S. District Court in the Eastern District of Michigan, the U.S. District Court in the Northern District of Ohio and the U.S. Supreme Court. He served as a Board Member for the Western Michigan University Foundation in 2010-2011. Mr. Brady serves as Chairman of Emmanuel Hospice, a Board Member and Former Chairman of St. Ann’s Skilled Nursing Home and a Board Member for Catholic Charities in West Michigan. For further information, contact www.dykema.com.